The HWBOT World Tour is excited to visit Russia for the first time by attending IgroMir Expo 2017, the original computer and video games exhibition of Russia. 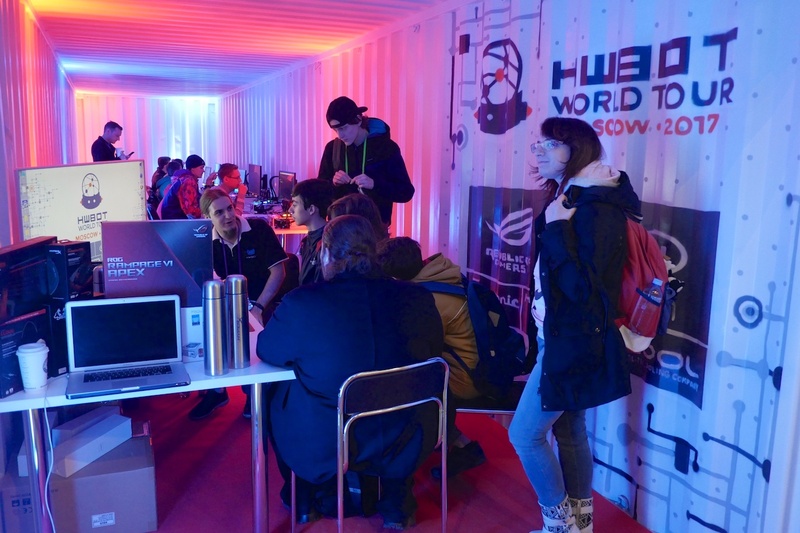 With its origins going back as far as 2006, the IgroMir Expo is the biggest technology exhibition in Eastern Europe and one of the biggest in the world, which is why HWBOT has made it a key destination of the 2017 World Tour. Gamers and PC enthusiasts in attendance will get the chance to learn the basics of Overclocking at OC Workshops with expert tuition from locally based professionals. Attendees will also enjoy the chance to get close up with some of Russia’s best Overclockers as they compete in the Moscow – 2017 World Championship Qualifier contest. For the first time ever Igromir Expo attendees will be given the opportunity to discover the world of Overclocking for themselves. From September 28-30, visitors will be able to sign up for free Overclocking Workshops. Each workshop session will last around 30 minutes and involve receiving expert tuition from locally-based professional overclockers. 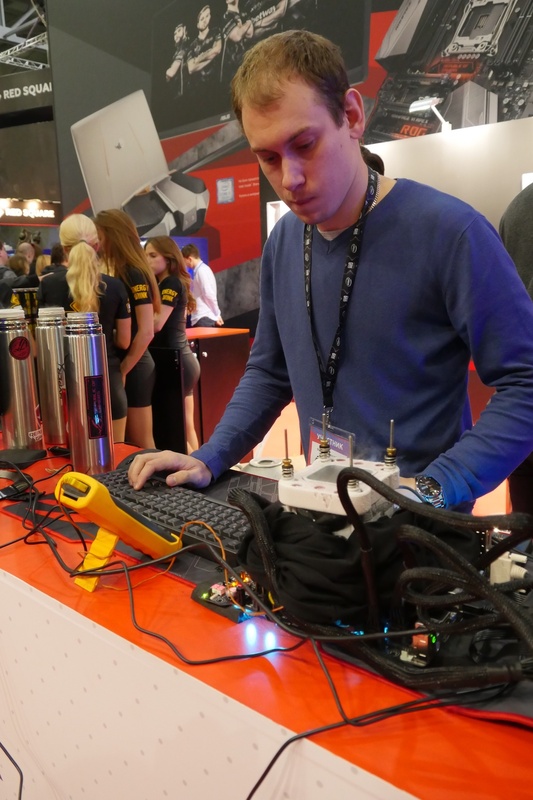 After learning the basics of how to push the frequency of an Intel CPU, attendees will be given the chance to get hands on with one of the many systems setup in the workshop area. After pushing the CPU and tweak voltages and other settings, you can then run the XTU benchmark and submit your highest scores to the OC-ESPORTS platform. At the end of each day the top scorer will be awarded a prize. The highest score submitted over three days will become Moscow 2017 Amateur Contest winner, winning some great hardware prizes from our event sponsors. Note: Workshops attendance is free to all IgroMir Expo attendees. No ticket required. The Ambient World Tour contest is open to workshop attendees. The OCWC Moscow 2017 Qualifier contest will take place at the ASUS Russia booth at Igromir and will follow the same format as previous OCWC Qualifier contests. It will consist of a three-day qualification segment running from September 28th – 30th. Overclockers will be tasked with scoring as highly as possible across three benchmarks. Scores will be be submitted to the OC-ESPORTS platform here. The four highest scoring overclockers will be invited to return on October 1st to compete in 1v1 Semi-Final, Bronze Final and Grand Final matches. CPUs will be provided by drawn at random in the 1v1 matches. You can find a full breakdown of the contest schedule, the contestants and rules here on this news post. To compete in the OCWC Moscow Qualifier, you must first purchase an LN2 ticket. See below for details. In 2016, IgroMir Expo welcomed more than 160,000 people in just 4 days. More than 200 companies showed off their entertainment products, using more than 25.000 sq.m. of exhibition space. IgroMir Expo 2017 takes place at the same venue, the Crocus Expo, Moscow, on September 28 – October 1. IgroMir Expo 2017 will again partner with Comic Con Russia. Expected attendance: 160,000+ visitors. September 28 is business day for the event – only press and industry specialists are allowed. September 29 – October 1 are public days – the exhibition is open for everyone! Important: Non-Russian visitors are urged to book their ticket ASAP due to Visa regulations. Due to the lengthy visa application procedure, registration for the Moscow 2017 event for will close for International visitors on July 10th. HWBOT can assist with visa applications, particularly a formal ‘letter of invitation’. Visa costs to be paid for by the attendee. General visa information can be found here at this link.